You know how to make extended, accelerated decompression stops using up to two gases. 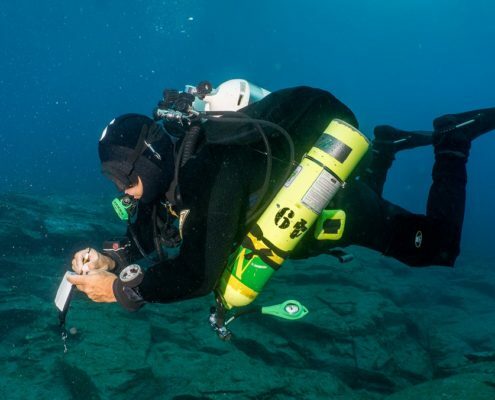 It’s not easy to reach this level and earning your Tec 50 certification opens the door to deeper diving expeditions. Have a Medical Statement signed by a physician within the last 12 months. Note that qualifying certifications from other diver training organizations may apply – ask us.